Another beautiful update for the game Eternium Mage and Minions. Today, instead, i’m going to talk about the new update, thanks to which developers have further improved their quality and playability. The first big news of Eternium Mage and Minions is the ability to reforge the equipment. This means you can decide whether to change one of the features of one of your pieces of equipment, excluding amulets and rings, using money or gems based on the rarity and level of it. In the bottom right we see the new button. As you can see from the figure my piece of equipment has life regeneration and give critical. 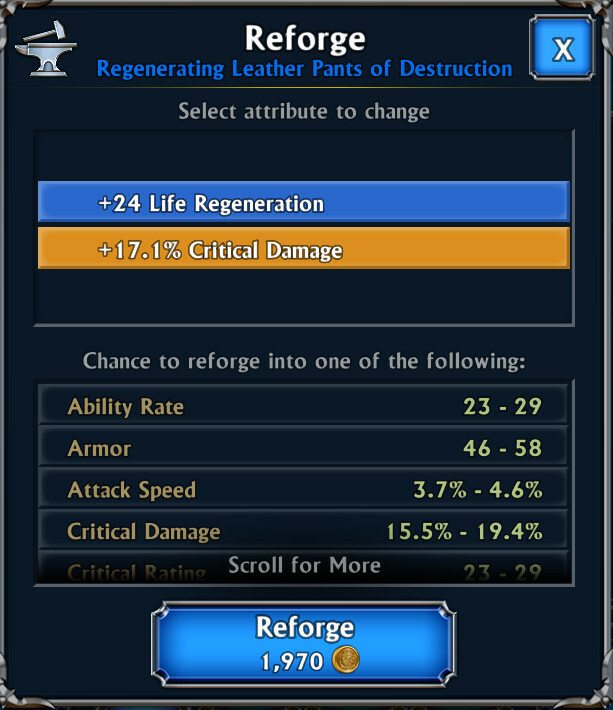 Let’s try and see how the reforge works. 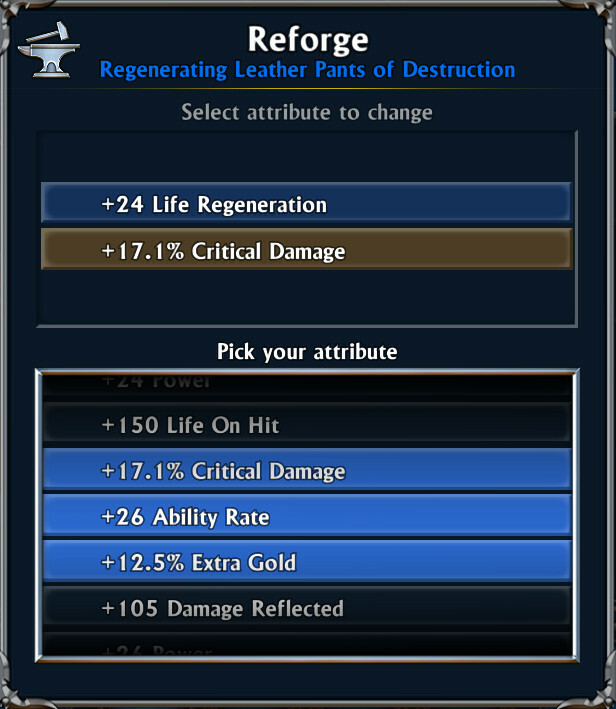 Trying to change the critical damage. 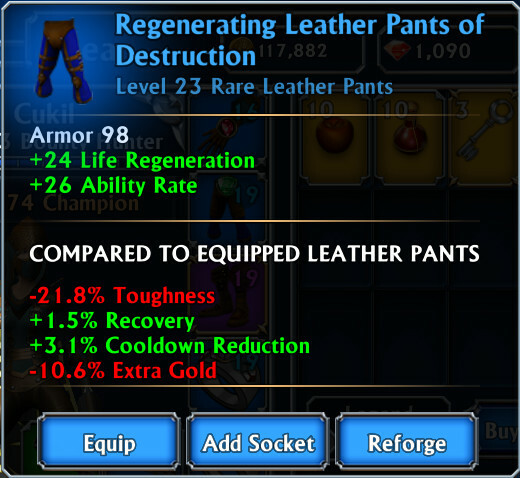 The reforge in this case will cost you 1970 in gold and what you see below is the list of possible achievements from the action. It’s a real roulette where the prize will be your new stats. We have to say that fortunately we will be able to choose from three possible statistics available after the roulette round and not just one. We select Ability Rate and see the end result. 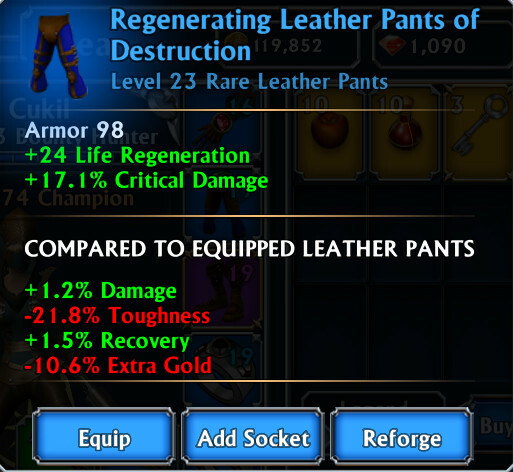 You will surely understand that being able to refresh your equipment is very useful when you have advanced level equipment where there is only one statistic you do not need or you want to specialize on experience equipment and gold gains on one side and statistics on the maximum instead In the other case. There is only to be said that you can do this as many times as you want on a piece of equipment, but with two consequences. 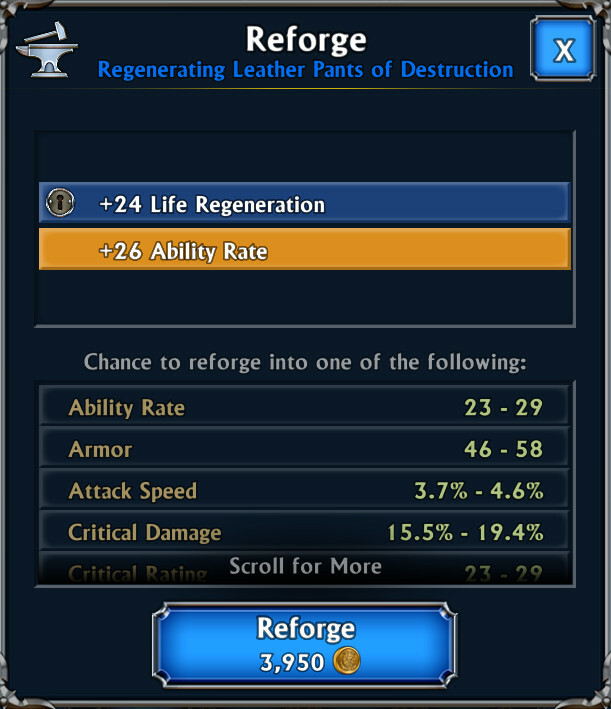 On the one hand, the amount of resources needed for reforge will increase, on the other hand, you can only change the chosen statistic and not the others that are blocked. The second big news in Eternium Mage and Minions instead concerns the ability to set traps by the bounty hunter. The bounty hunter introduced in the previous update of the game, it is very nice to play but has some aspects that need to be improved. 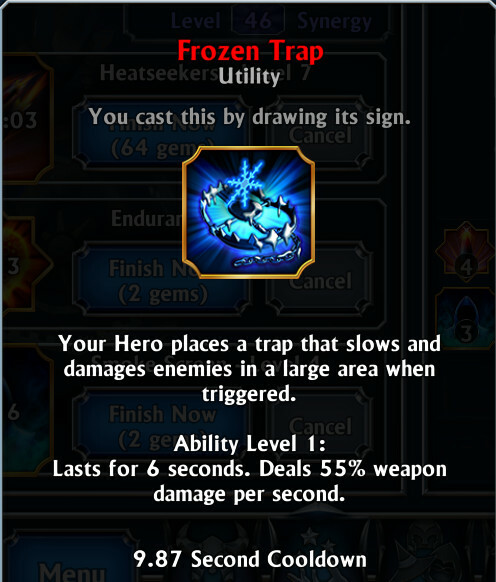 In particular, it was so far, perhaps the “least” of the three possible heroes, but with this new update and with this new ability, its survival potential greatly increased. This earned the hero’s gameplay rating and made it even more appealing to veteran players. The ability to be used must be activated in combo with the Smoke Screen skill and stealth mode. The area damage of the skill, is of considerable help in complicated situations where monsters overpower our hero. As for my final comments on that, i would say that Making Fun, Inc. this time also has made us feel and is making the game more and more beautiful. I keep playing regularly to Eternium Mage and Minions, and although i must play with games that i discover, i enjoy a play with Eternium,. Follow me, and stay updated by subscribing to my pages and my YouTube channel. It costs you nothing, but for me it’s an incentive to keep the blog updated.